Public toilets in this area are provided by Maldon District Council. 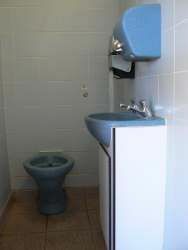 There are two traditional toilet blocks at Burnham on Crouch and automatic toilets at Southminster and St Lawrence. There are no public toilets on any of the Railway Stations of the Crouch Valley Line. Other toilets in the district are provided by Public Houses, cafes and other premises for the use of their customers. 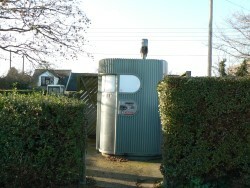 There are three public toilets in Burnham on Crouch all of which are operated by Maldon District Council. There are two toilets in Burnham Country park near to Burnham Sports Centre. One is a brick built and the other a small 24 hour automatic toilet. The two main toilets have facilities for baby changing and all toilets have disabled users facilities. Fiveways Coop Supermarket at Foundry Lane, Burnham on Crouch has toilet facilities for customers of the supermarket. There are of course toilets in all of the public houses, public halls and in most cafes and restaurants although these are open to customers of that establishment. 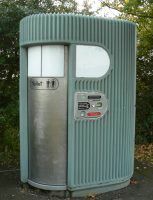 An automatic wc is sited in the shoppers car park at High Street, Southminster. The WC costs 10 pence per use or is free with a RADAR key for dsiabled users. An automatic wc is sited in the main road to the rear of St Lawrence Waterski Club. The WC costs 10 pence per use or is free with a RADAR key for disabled users.